Another day, another Pixel 3 (XL) glitch. And to think we were almost ready to forgive Google for not finding a more elegant solution to the bezel problem than the world’s largest notch. After all, the newest stock Android phones earned great praise from our resident reviewer, despite featuring the same old single rear-facing camera, 4GB RAM, and no headphone jack. Of course, short-term reviews are not always representative of a gadget’s performance out in the real world over a longer period of time. 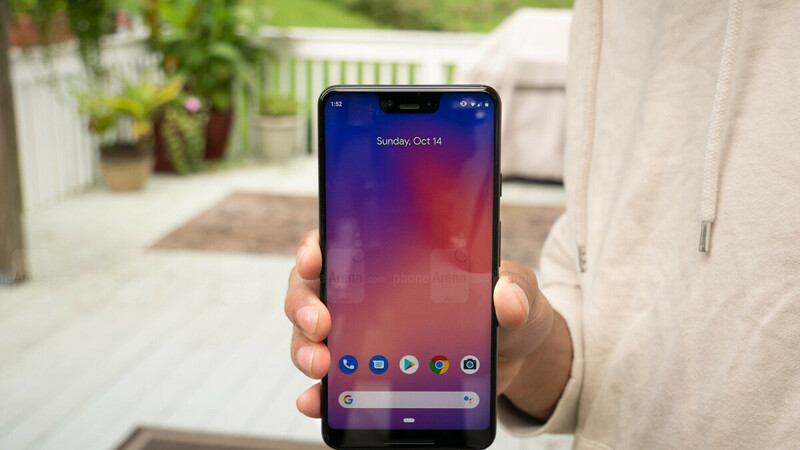 Tragically, it didn’t take long for Pixel 3 and 3 XL owners to notice a number of things wrong with their costly new handsets, ranging from a frustrating memory management issue to sub-par scratch resistance and a speaker situation that Google is trying to frame as a feature, not a bug. Speaking of speakers and sound coming out of them, a distressing number of early Pixel 3 XL adopters is complaining of bizarre distortions. The problem is naturally described in varying degrees of seriousness by different users, but at their core, all grievances are oddly similar. Basically, the bottom-firing speaker of the larger Pixel 3 variant appears to produce random buzzing, especially at mid-range frequencies and low volumes, although that might be because louder audio drowns out the issue rather than eliminating it altogether. While some people claim this is a problem they need to deal with every day, whatever the content played by the Pixel 3 XL’s unbalanced speakers, others say the buzzing comes and goes, or even that it seems to have disappeared since first cropping up. All in all, this is still nothing compared to the mountains of audio issues experienced by Pixel 2 and 2 XL owners last year. But Google may not have learned enough from that complete fiasco. For now, it’s unclear if Buzzgate (sorry, we had to say it) has a hardware or software-related cause. We’ll probably find that out before long, depending on whether Google starts recommending replacements for faulty phones or waiting for a software update. Google just try to show other manufacturers: we are not a threat to you. Another day, another Pixel problem. It's comical at this point. ANOTHER ISSUE?! Come on, Google! This is laughable at this point. The Pixel line has proven to be beta phones, generation after generation. Google needs to just give up on hardware completely and focus on making Android better than it already is. A lot of people have not encountered problems with the Pixel phones. Of course that goes against your trollish agenda. The beautiful notch makes up for that humming noise. What I wonder is, where’re the droidbots, that attack Apple about every single iIssue, but say nothing about El Googs. I praise, and criticize all of them equally. Exactly, darkk. If this were an Apple article, you'd see the Android that troll Apple out in full force to ridicule Apple. Now they are mysteriously silent. All OEM's need to be held accountable by their respective users for their mishaps. The problem with this is not Google but the media (blogs, papers etc...). Here is the issue, the pixel 2 sold about 4 million devices last year and the pixel 1 sold even fewer numbers than that the year before. By all account phones like essential, and the pixel should get little to no news coverage base on their their sales volumes. But somehow the media treats them like iPhones and Galaxy s series and offer them the same amount of coverage. The pixel sells in a year what Apple does in one day on the launch weekend. Same thing applies to all the keynotes announcements, it is ridiculous nowadays. Everyone has keynote announcements these days (Thanks, Apple). I don't see my local newspaper, and tv news reports on every little thing that takes place in my town. And they should not, Stuff should get coverage based on their merits and level of interests by the general public. That, I think would force more companies to try harder than the effort we currently get from them. The issues with the Pixel lie with Google. The media isn’t in control of the hardware or the software. Keynotes are a companies way of getting the word out about their newest smartphones. One could say it’s a form of advertising/marketing. If companies don’t promote their flagship phone in a big way, how will consumers know about it to buy it to begin with? I am not saying that companies should not have keynotes anymore. They should do it like they used to in the past before Apple changed the damn thing. In the past, keynotes used to take place as part of a bigger event (CES, MWC etc). That's how it used to be, but now everyone have Apple envy and every little niche product or company wants a big keynote to announce something everyone else already announced but with a different coat of paint. Nothing wrong with the way companies choose to do keynotes, whether at CES, MCW, or wherever. Why should they have to share the space of announcing their respective latest and greatest with others, when they can do it at a venue that allows for all eyes to be on their product alone? Because they did it that way for a decade and two with no issues. Apple started the trend and now everyone follow suit. All I'm getting from you is Apple worship. Should have known, coming from you. Any company should announce their respective smartphones as they see fit. If it's something you don't agree with, make your own smartphone and announce it at CES or MWC. Pointing out the truth must be hard for some to accept. Like it or not the current mobile world largely takes their cue from Apple. LMAO! The only "truth" you've pointed out is the truth about how much you love Apple. And lets not act like Apple hasn't been taking cues from others for years now. I know that's a hard pill to swallow, but try it with a good helping of water. That'll help you wash it down. You are correct MG. Keep speaking the truth too as many here can't see past their narrow logic. Logic centered only around their favorite brands... By toukale's logic in post 18, Apple should only sell their products through larger brick and mortar stores and not have their own dedicated Apple Store. Because that's the way electronics companies did it in the past - before.....Sony changed the damn thing. Steve jobs took the concept of the Sony Store and many other cues from Sony back when Akio was alive and running the show well. It's well documented how Jobs idolized Morita and wanted to model a lot of Apple after Sony and it's higher standards back then. And that fact is also a hard pill for a lot of readers on this site to swallow. iPhone it’s an iPhone wither we like or we don’t period. Google can’t even use proper build quilaty and no custome Soc for there flagship they want to make cheap flagship with ugly desgin that comes with very good camera and sell it for price of iPhone XS max. Right? Not everyone is having issues with their Pixel. Atleast, Nexus phones were superior than Pixels at a right price. How? Better storage options. Better carrier usability. Better availability with stock. Better features like Assistant and Lens. The best camera of any phone, something you couldn't really say when it comes to the Nexus phones. A battery that doesn't fail after a year or two, looking at you and your poor quality products Huawei. I can keep going on and on, but we are entitled to our opinion. Lol, Google must be getting into the lunch business now. Are they going to be selling Pixel sandwiches and Android burgers? You can keep going, but save yourself from further embarrassment and just don't lol. Lol, you hear that sound? That’s the sound of everyone laughing at you because you don’t even know what a figure of speech is. Quit now while you’re behind and save yourself further humiliation, mxyzptlk.